Newsquest is facing coordinated strike ballots across the country in protest at redundancies, pay freezes and the removal of local journalism jobs to distant production centres. Some 150 journalists are to vote on whether to go out on strike. The titles involved include the Warrington Guardian, Northwich Guardian in Cheshire, the Sale and Altringham Messenger in Stretford, the Wirral Globe in Birkenhead and the St Helens Star in Merseyside. NUJ members on The Argus in Brighton, the Southern Daily Echo and and the South London Guardian series are also to take part in the ballot. 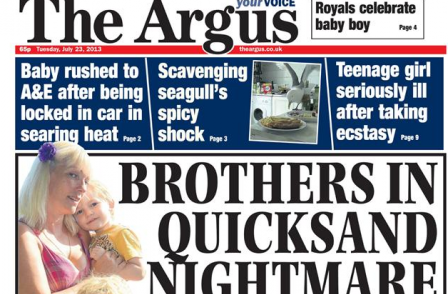 Newsquest revealed yesterday that six subbing jobs would be lost from the subbing unit in Southampton as production of The Argus was moved to Weymouth in Dorset. Some 29 jobs are to go from Newsquest’s centres in Blackburn and Warrington in proposals to move subbing more than 200 miles away to the ‘super-hub’ in Newport, Wales. Journalists there face a stark choice: move to Wales, or lose their jobs. A further four jobs are under threat at the Elmbridge Guardian in south London, a free weekly with a circulation of 22,000 which Newsquest is proposing to close. 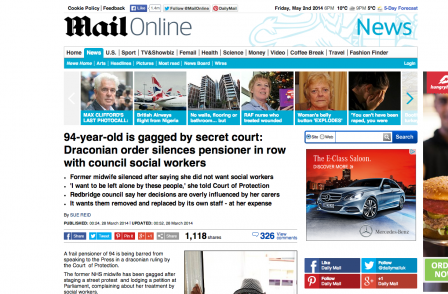 The Newsquest job cuts accompany the introduction of a new PCS content management system. NUJ national organiser Laura Davison said: “There is a real feeling of enough is enough across Newsquest chapels. We've actually had other centres ringing up wanting to ballot too. The NUJ has called on Newsquest’s new chief executive Henry Faure Walker to halt the subbing hub project and meet union representatives to “find a better way forward”. Tony Howard and Vicki Stockman are joint leaders of the NUJ chapel in Newsquest Cheshire and Merseyside. They said in a joint statement: “The company has shown a distinct disregard for the feelings and personal situations of our members throughout this process. The first announcement was made in a room full of strangers with no senior management present, while those affected had to sit at the back and strain to listen to their fate. "The letters for individual consultations were not received by most members until well after the day the meetings were meant to take place due to them being posted out too late, meaning those affected had no idea what was going on. Even after this, it was only after great collective pressure was applied by our chapel, that the company backed down and rearranged the meetings. "We have attempted to arrange for our members to take part in a site visit to Newport to help with consultation, as offered by the HR department in a group consultation meeting, but the company since ruled they won't allow this to take place until the consultation has ended, meaning our members cannot make informed choices about the rest of their lives until it is too late. "We have supplied an alternative option to prevent all redundancies that won't add any costs or present any technical issues for Newsquest, yet we have not been allowed to discuss this in detail as the company has indicated it will not hold further group consultation meetings with our reps.
"It is clear that job losses are completely avoidable and unfortunately it may take a ballot for industrial action to focus the minds of those running Newsquest to consider the alternatives seriously. We are very keen to get around the table and discuss our proposals in detail. "It has not escaped our attention that the jobs we have been promised will be available for our members should they move to Newport, are seemingly being advertised on Holdthefrontpage, with the deadline being the exact date for the end of our consultation period. "Furthermore, having heard the horror stories from NUJ chapels elsewhere who already use the new system, we have put forward our concerns for the staff who will remain at our offices, in regards to extra training and changing roles with added workloads. Yet the company's vague and ambiguous replies have done nothing to satisfy a need for our members' welfare to be taken seriously. Hopefully this ballot will make this more likely." Newsquest North West managing director Chris Hughes said: "We are disappointed that the NUJ chapels in Blackburn and Cheshire have decided to ballot for industrial action. We understand that any changes which may lead to a loss of jobs are regrettable, and where possible we are investigating opportunities for redeployment and alternative roles to mitigate the impact of this, but the system which Newsquest is installing will significantly improve both the products and our ability to produce content in print and online, and are an important part of our strategy to ensure that our local titles and local brands have a sustainable and strong future."